Revenue Department Recruitment 2019-20 (Government Jobs in India) notification for 51 village accountant posts. All legible and interested candidates can apply on or before (20-02-2019). 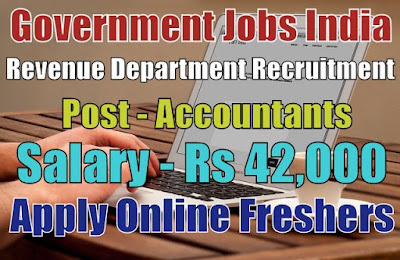 Further information about the Revenue Department Recruitment courses and exams, vacancies, salary details, recruitment careers, application fee, government jobs in India, educational qualifications, online application form and all other details/information about this post is mentioned in details below. The total number of vacancies are 51. 1. Village Accountant - 51.